Restaurants in the Denver and Littleton areas can be far more successful when they effectively use signage to entice potential customers into their locations. Before people even see or smell the food you offer, they’ll have the opportunity to see the custom building signs that advertise your restaurant. As such, it’s absolutely imperative that the right restaurant signs are used to bring people through the doors. 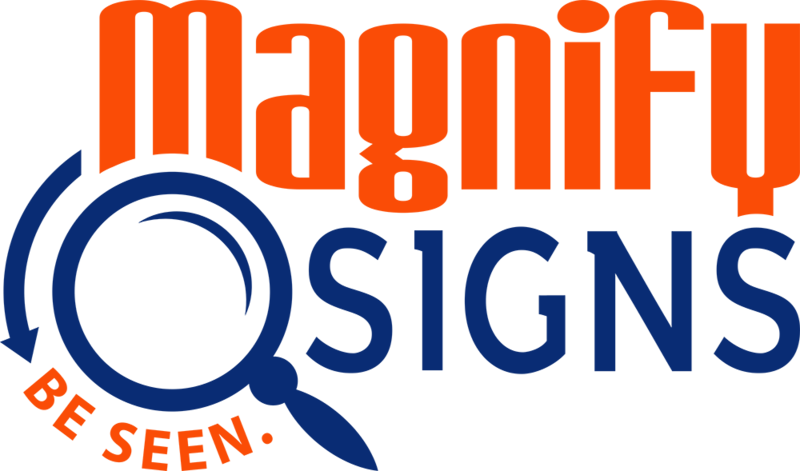 At Magnify Signs, we offer a variety of signs that restaurants can use to advertise, promote, and grow their customer base. 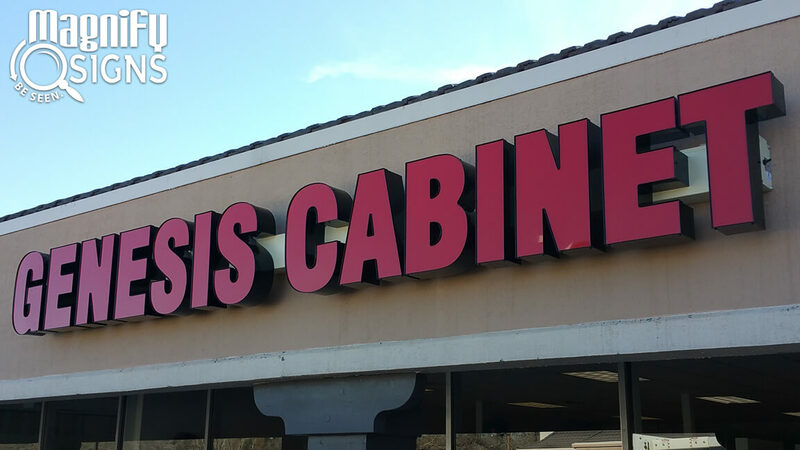 Custom building sings are not the only signs you may need for your restaurant. 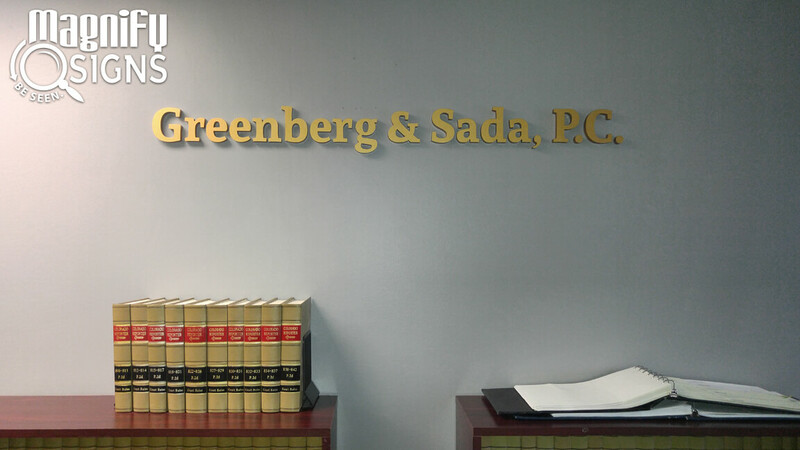 You’ll also potentially need regulatory signs, informational signs, temporary displays and much more. 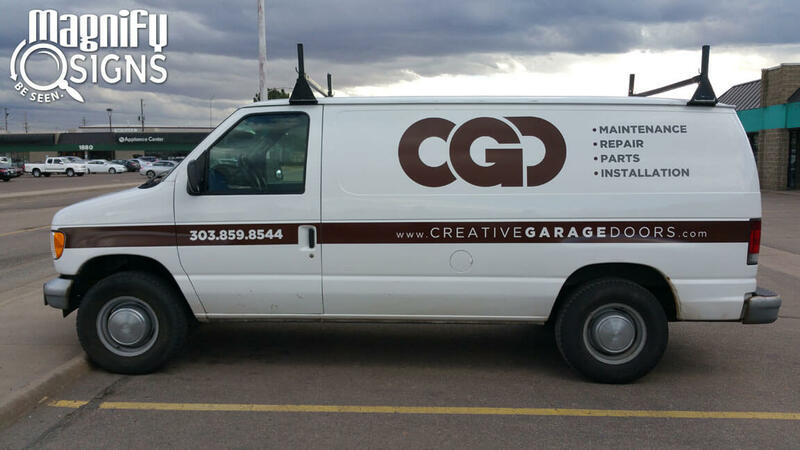 Vinyl lettering in Denver is often used to display restaurant hours and custom banners, window graphics and other interior signs can provide plenty of opportunity to drive customer engagement and share your unique story. When it comes down to it, every type of restaurant will benefit from harmonized signage. Whether you’re a large eatery or bar, a take-out stand or even a food truck, great signage is crucial to success. With the right signage for your restaurant you can bring your brand and your vision to life and make it easy for customers to choose you when making a decision on where to enjoy a meal. Unique ideas for custom signs for restaurants. Digital signage in Denver is becoming more and more popular in the hospitality industry. These signs are easy to update quickly with new menu items or weekly specials, but are also very effective when it comes to grabbing people’s attention. 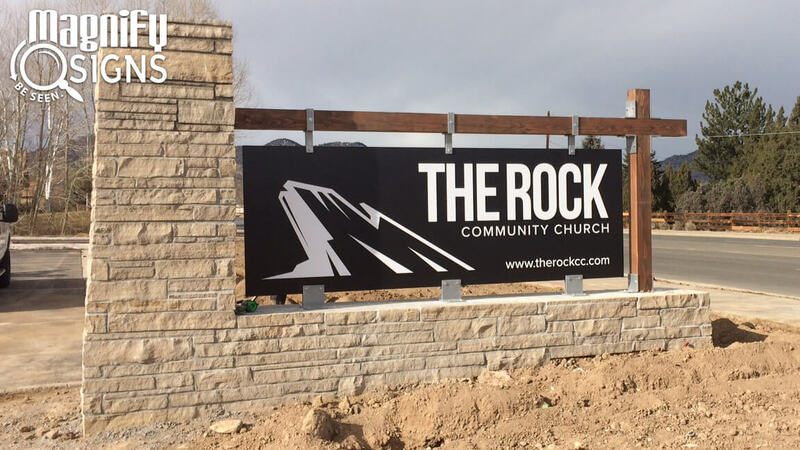 Channel letter signs are an attractive option that allow you to represent your brand with style. 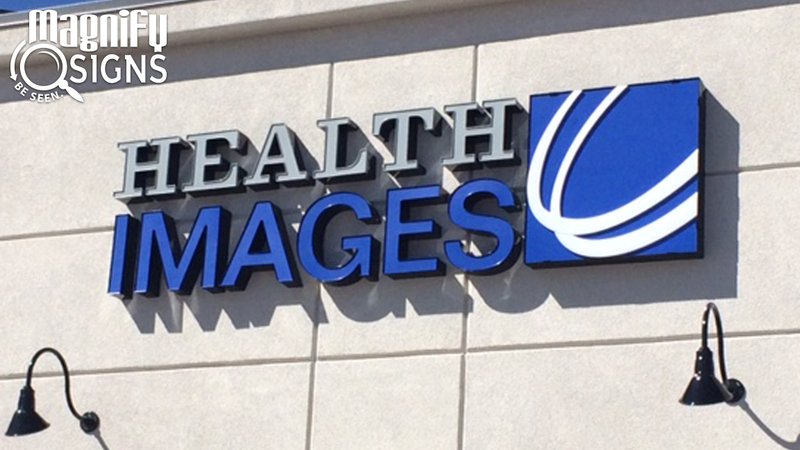 As channel letter signs and other LED signs are illuminated, customers can see your sign and locate your business day and night. 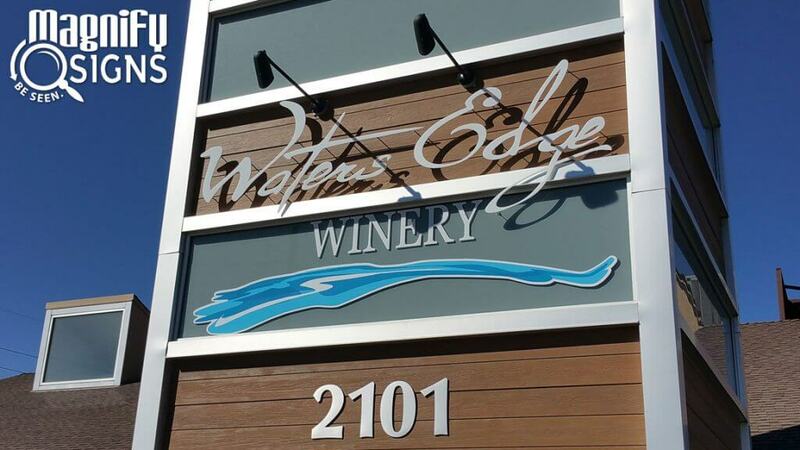 Custom routed metal letters reinforce that your business is modern yet elegant. They can be installed indoors or outdoors to enhance your restaurant’s ambiance. Bar area signage. The bar area usually has lots of available space for custom signs and is a great place to really show your restaurant’s personality. Floor and wall graphics. Why not enlarge custom images of your best menu items or special information about your restaurant’s philosophy to transform your space? Vinyl lettering used in your restaurant storefront windows can market to your potential customer’s 24-hours a day, 365 days per year. This type of custom signage works very well as street traffic and customers can always get a sense of your restaurant even when you aren’t open. Ready for your restaurant to get noticed? 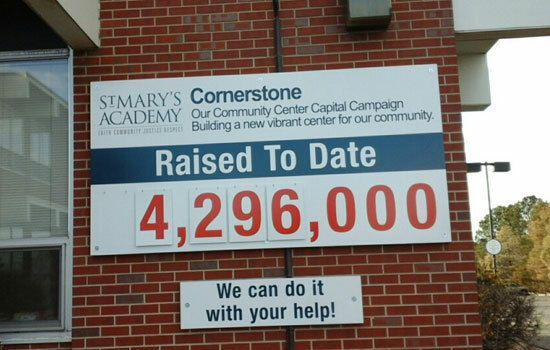 Invest in well-designed, full-color signage that delivers a consistent message and elevates your brand. 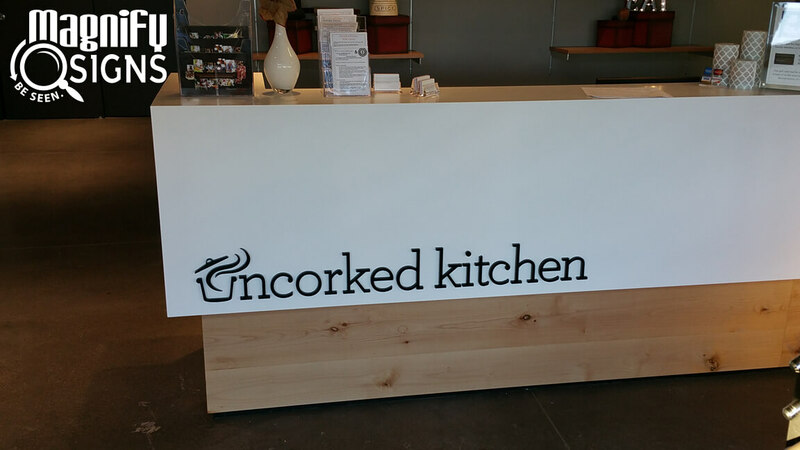 Whether you’re interested in vinyl lettering in Denver or digital signage for your Denver restaurant, Magnify Signs has the expertise and the creative force to work with you and create custom signs that will really make your restaurant stand out.